Following initial success in North America after launching on the Galaxy 19 satellite in November 2013, ViewSat shares its perspective on the broadcasting landscape within the region and its growing FTA (free to air) audience. With approximately 86 percent of the North American population using Pay-TV services, ViewSat offers a cost-effective alternative to the growing numbers unable to accommodate the rising subscription fees of many Pay-TV providers. As households are required to purchase a FTA receiver, a one off cost to access hundreds of channels, a growing number of consumers are opting for this solution to meet their viewing requirements. 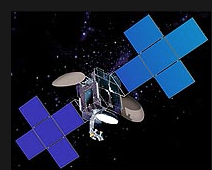 This change has bought North America more in line with ViewSat’s established regions of Sub-Saharan Africa and the MENA (Middle-East, North African) region where the Pay-TV penetration is significantly lower. The MENA region is dominated by FTA services, whileu Sub-Saharan Africa audiences are concentrated around FTA, with elements of Pay-TV also. ViewSat is currently broadcasting a number of channels from Sub-Saharan Africa and the MENA region into North America via Galaxy 19. The company has understood its client’s specific requirements and has intelligently chosen to broadcast via Galaxy 19 platform, which enjoys excellent penetration to ethnic audiences across the continent. 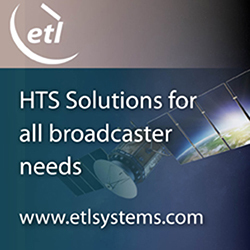 While ViewSat is primarily a FTA broadcast service provider, the company will look to supplement its existing streaming solutions with greater OTT capacity in 2014. For more information on ViewSat, please visit.